I have always been a supporter of drinking lots of water. I have never had any problem in drinking pints of the stuff every day. Sometimes I drink it plain, sometimes it’s flavoured and occasionally with a dash of squash thrown in. But the most important thing about water is just getting it into your body in the first place. For anyone who does struggle with drinking water, here are a few of my tips to getting more into your every day routine. The first is to buy a sports cap bottle. It might sound a little odd, but not having to unscrew a lid, and just flicking up a cap and drinking out of it, saves time and is more convenient if you’re someone who is always on the go. You can also drink more this way than you would do if you were sipping from the top of an open bottle. Something else that I always do, is to have a small glass of water half an hour before every meal. By doing this it kick starts your digestive system and gets it ready to receive the food you’re about to devour, this also helps to control appetite as well. Most people will insist that the recommended daily amount of water you need to consume is eight glasses. But this doesn’t take into consideration warm weather, sweating if you exercise and other daily situations such as health and lifestyle. The actual amount of water you need to drink as an adult varies from eight to sixteen glasses a day. 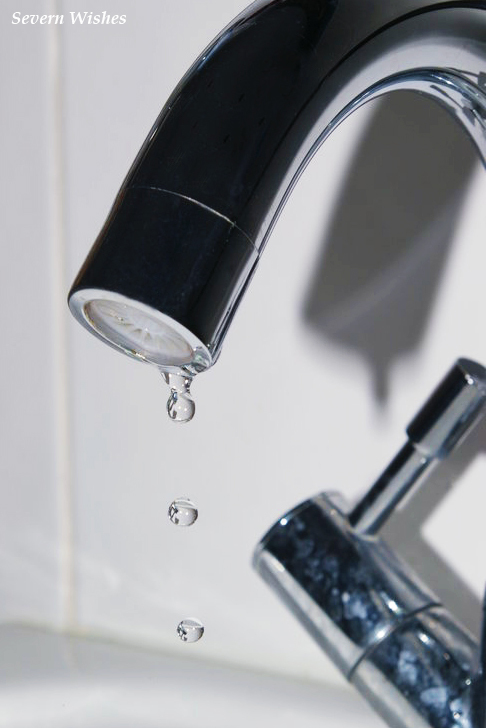 Some people struggle with this amount and many adults substitute water for things like tea and energy drinks. Although these hydrate you they don’t have the benefits that plain water does. My tip for you is to always keep water to hand, either in a bottle or a glass. If you’re on the go a lot always carry a bottle with you. Another tip is to drink one glass of water when you wake up in the morning that is before you eat anything or go about your daily routine. This helps to kick start the digestive system and can lower blood pressure too. The benefits of drinking more water can be noticed within a couple of days. Your body is made of approximately 60% water, this helps transport nutrients in the body and regulate body temperature among other things. When you are made of so much liquid this means that dehydration is never far away if you don’t look after yourself. Being dehydrated can cause your skin to dry up and for your kidney function to decline in efficiency. These are just some of the reasons why you need to keep up those fluids. Your skin will look healthier and you’ll notice the difference in your concentration levels as well as your muscles. Drinking more water can help with muscle tiredness and it flushes out the toxins that cause illness and skin breakouts. 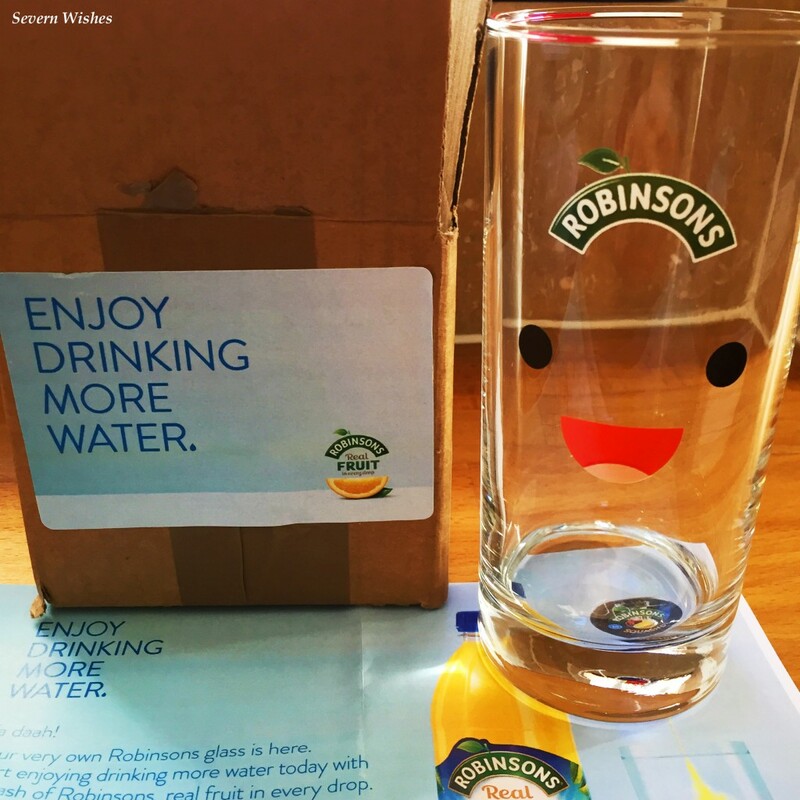 Robinson’s have been running promotions on both Twitter and Facebook to win their very cute glasses, I call mine my happy glass. Why is he happy? Because you’re drinking more water of course! Thank you again to Robinson’s for my wonderful glass. I hope that you have enjoyed this blog post and I hope that perhaps I have inspired you (with the facts) to drink more water. This entry was posted in Food & Drink, Lifestyle by Sabrina. Bookmark the permalink.